Chen Jingwei, born in Shantou city of Guangdong province, settled down in Hong Kong in 1979. 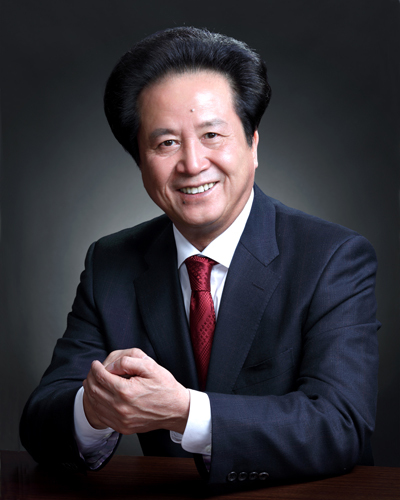 He established HK Jingwei Co in 1981 and HK Jingwei Group in 1983. While working and living in HK, Chen was still concerned about development on the mainland. So in the second half of 1989, Chen, confident about China’s investment environment and reform and opening-up policy, pulled in $100 million to the mainland, in the fields of textile and dyeing, clothing, and international trade, and shifted the group’s business focus from HK to the mainland. Jingwei Group Co is the group’s investment company on the mainland that was set up in the Shantou Special Economic Zone in 1992, approved by the State Administration for Industry and Commerce as one of the first to be backed by HK capital after the reform and opening up. Jingwei’s textile and dyeing company employed a first-rate production line in 1990 to produce upscale silk-like fabrics. Set up in 1991, the company soon took the lead in the national market and pushed forward the whole industry. In the 1990s, it repeatedly topped the list of 500 largest foreign capital companies appraised by the National Statistics Bureau. Having a solid foundation on the mainland, the group gradually expanded into other sectors, such as real estate, finance, e-commerce, conferences and exhibitions, and storage and logistics. Its investments were also transferred from the Pearl River Delta to the Yangtze River Delta and Bohai Economic Rim. The group holds the chairmanship of the HK China Chamber of Commerce and China Overseas Investment Summit, and vice chairmanship of the All-China Federation of Industry & Commerce, China Enterprise Confederation, China Chamber of International Commerce, China Overseas Chinese Entrepreneur Association, China Society for World Trade Organization Studies, and China General Chamber of Commerce. Sticking to its spirit of sureness, pragmatism, innovation, and perseverance, the group combined honesty and strength in its development. In addition, it practices social responsibility, winning recognition from society and encouraging its staff to keep aiming high.